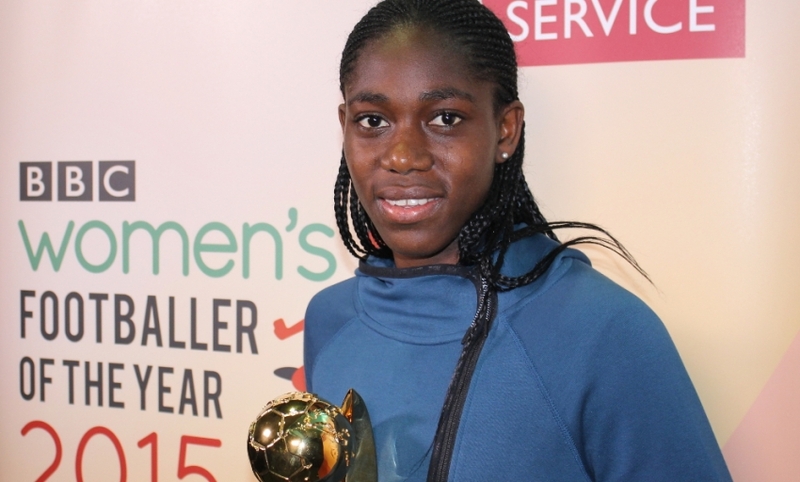 Liverpool Ladies star Asisat Oshoala has been named as the BBC Women's Footballer of the Year for 2015. Following a poll held online, as well as via mobile phone and handheld devices, Reds star Oshoala received the most votes to become the winner. The four other contenders for the award were Veronica Boquete (Spain and FFC Frankfurt), Nadine Kessler (Germany and VFL Wolfsburg), Kim Little (Scotland and Seattle Reign FC) and Marta (Brazil and FC Rosengard). The shortlist was selected by a panel of experts including administrators, journalists, coaches and former players. Reflecting on her award, Oshoala said: "I am extremely proud to have won this award as it is a real honour for both myself and my family. "Just to be nominated against such world-class players was a real privilege, but to have won the award is absolutely fantastic. "Last year was an incredible year as I managed to help Nigeria U20s get to the U20 World Cup final, as well as being named African Women's Footballer of the Year, so this award tops off a great year. "I would like to thank everyone that voted for me, with a special mention to my supporters in Nigeria, including my previous club River Angels and my current club, Liverpool Ladies." Paying his own personal tribute, Liverpool Ladies manager Matt Beard said: "It's a great accolade. "She caught our eye in the U20 World Cup with her performances when she had a fantastic tournament, and then she did the same for the first team when she helped them qualify for the World Cup. "Since she came to Liverpool this year she has improved with every training session and every game, and it's fantastic for her and great for us as well. "She's also a great character. Anyone who saw her goal against Birmingham will remember the celebration dance she did. "She's young and she's given up everything she knows to come over to England and play for Liverpool FC. She's settling in nicely and we are delighted to have her on board." Click here to read more about Liverpool Ladies.